Arduino assumes there's a 'softdevice' radio already installed. If you used MicroPython with your microbit, that softdevice was erased. You can easily get to GPIO #0 #1 and #2 using large alligator clips. 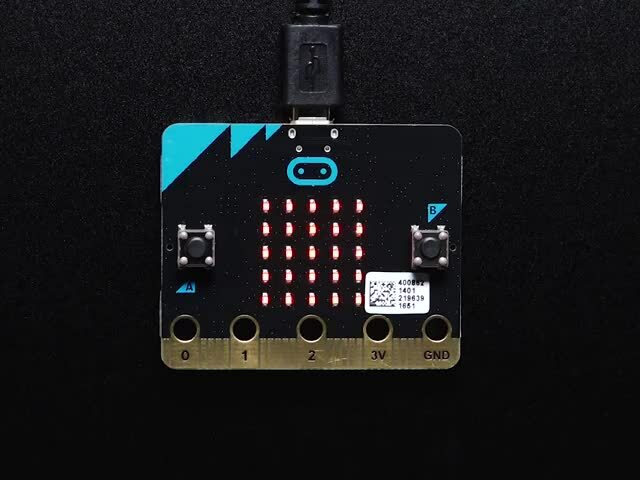 With a microbit breakout, you can access the other 16 or so. So really, if you're using the buttons and LEDs, you can use pins: #0, #1, #2, #8, #12, #13, #14, #15, #16, #19 and #20. Which is still a good amount! the LED matrix is a 25-LED multiplexed array. You can't just set the LED's on or off, they must be scanned through continuously to keep them lit. To make this easy for you we've added support to the Adafruit_Microbit library - it even uses a timer (Timer 2) to manage all the multiplexing for you. 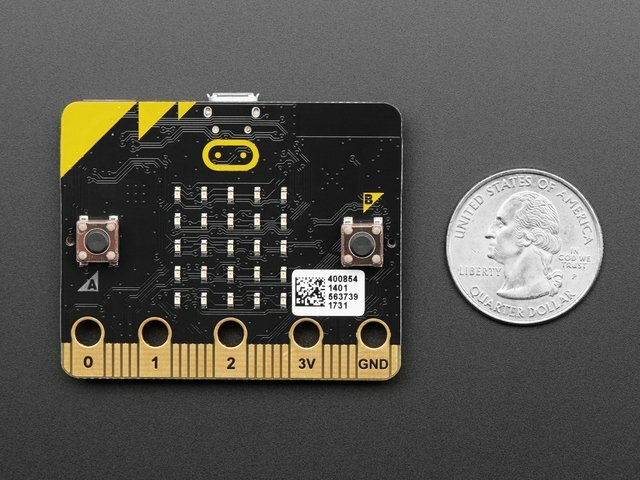 microbit.print(3.1415, 4);  // pi time, 4 digits of precision!! Note that for single-digits or single-char print()'s you wont get scrolling text. We also have a range of built in images you can use here at the bottom.